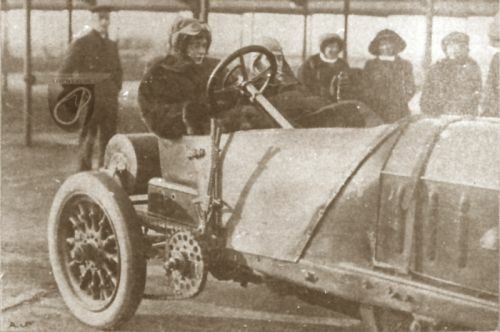 This photograph which was taken in 1911 is of Esme Stewart driving the famous 85.9 hp Fiat Mephistopheles which had been brought over from Italy in 1908 by Felice Nazzaro. 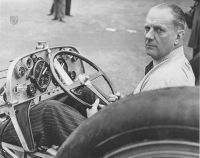 She was attempting to break the Brooklands lap record of 127 mph which at that time was held by Victor Hemery but she couldn't get above 91 mph on the day. It's not the same car as the one you see out and about from time to time which was made in 1923, 15 years after the first one.